This toffee has chocolate and almonds only on ONE side. My husband says that’s enough… I’m not so sure. 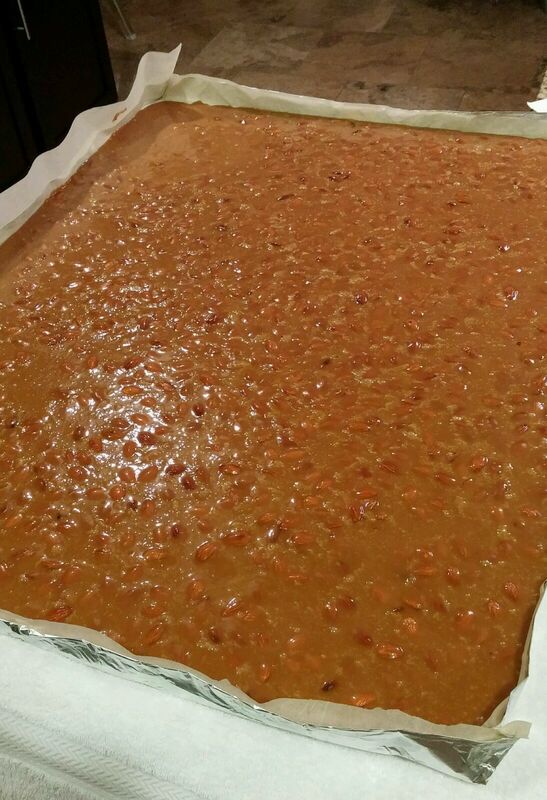 I clipped the original recipe for this toffee from the Arizona Republic in 2002; it’s attributed to Lee Ann DeGrassi. However, I use more almonds in the toffee than she called for, and she had no temperatures listed, and some of the instructions were really unclear. So, I’ve altered it a bit. I know this recipe seems LLLOOONGGGGGG. There are two reasons for that: Firstly, it takes a long time. If you’re pressed for time, don’t make toffee. The second reason is I’ve included a lot of parenthetical information — stuff I’ve learned the hard way, and I’m trying to spare you from ruining your expensive ingredients and wasting your time by ruining the toffee!! I typically make a triple recipe of this. For a pan, I use heavy duty aluminum foil and fold long ends together, crimping them and folding them twice, kind of like rolling them. Smooth out very flat, especially the middle area where you’ve folded the two pieces together. Then, I fold up the edges triple-thick, about 1 1/2″ high, to form a giant pan. If you want, you can get all mathy with it. I get out my measuring tape and figure out the square inches… The recipe calls for two 9″ x 13″ pans, which is 234 square inches. My giant aluminum foil pan is 24″ x 30.5″, so 732 square inches. So, I knew a triple recipe would fit just fine. 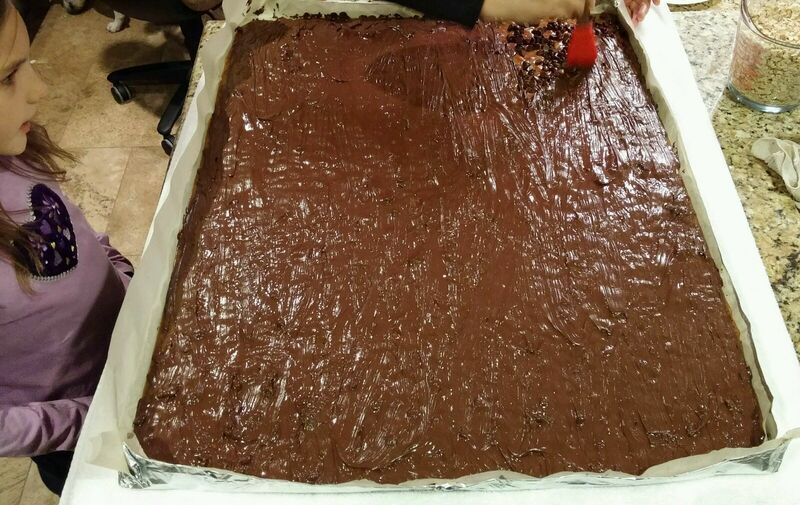 The toffee just after pouring. 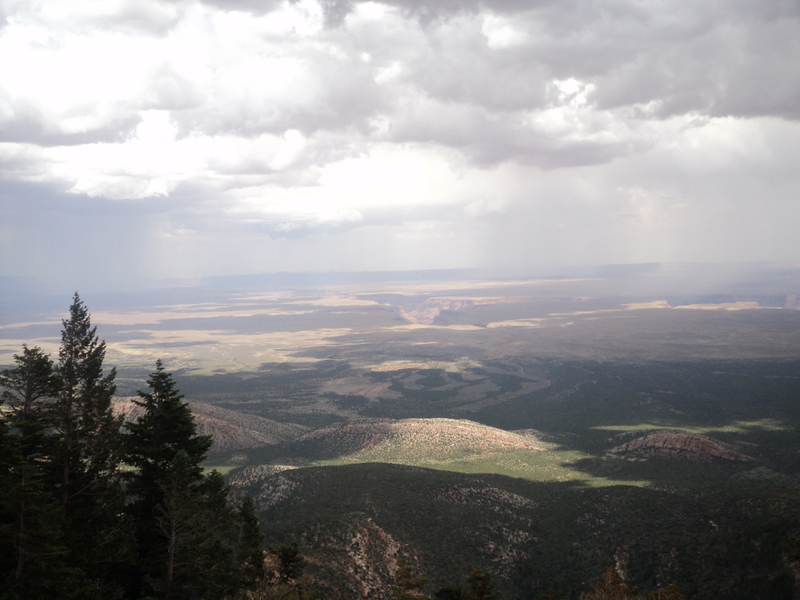 You can get a good idea of the aluminum foil pan construction from this picture. Smooth out 3-5 bath towels on a wide counter top or table. Grease two 9 x 13 inch baking sheets and line with parchment paper (or fold heavy-duty foil, as mentioned above, to make a big pan, grease and line with parchment paper). Place pan(s) on the towel-lined counter top. I cracked our quartz counter top one year because it wasn’t insulated. So, please! Use those towels!! Cut each stick of butter into 3-4 chunks and set aside. Take out the candy thermometer and quickly but carefully pour the toffee into the waiting pan(s). Do not spread it; the toffee will level itself. (If you try spreading it as it cools, the butter can separate from the toffee and it will ruin the whole batch.) Use a silicone scraper to get all of the toffee out of the hot pan, scraping the bottom of the pan first (it burns there the fastest — you want to get the toffee out before it burns). Let cool thoroughly — 3-5 hours or overnight. When the toffee is completely cooled and the chocolate has rehardened, break into very large pieces and turn over, putting the toffee back together like a puzzle. Melt the remaining chocolate in the microwave or over a double broiler until JUST melted — do not overheat. Then, pour the chocolate over the toffee and spread around with the silicone basting brush. Sprinkle the remaining ground almonds on top and press in. Spreading the melted chocolate with a very interested eight-year-old watching. 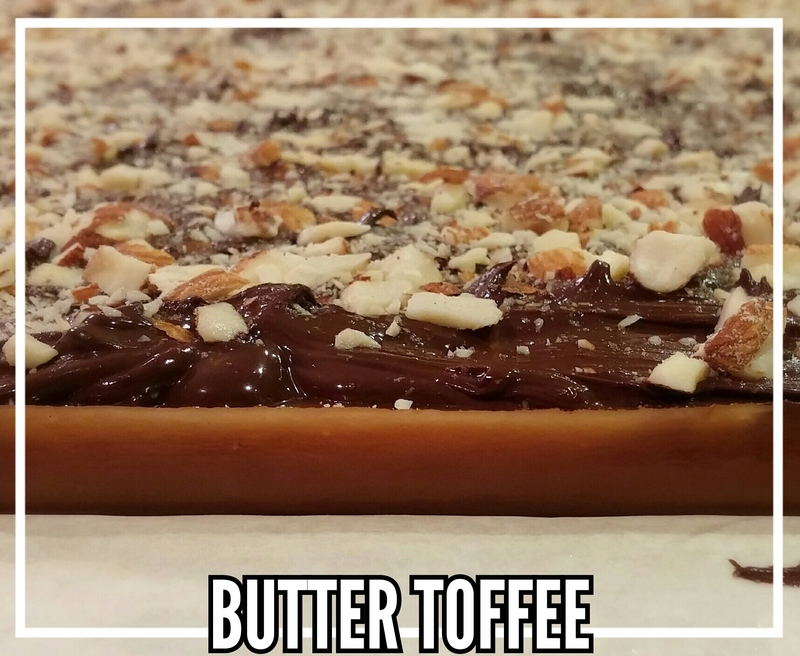 Posted on December 18, 2014, in Christmas, Cooking/Baking/Food/Recipes, gluten-free and tagged butter toffee, candy, chocolate, homemade gifts, toffee, toffee recipe. Bookmark the permalink. Leave a comment.